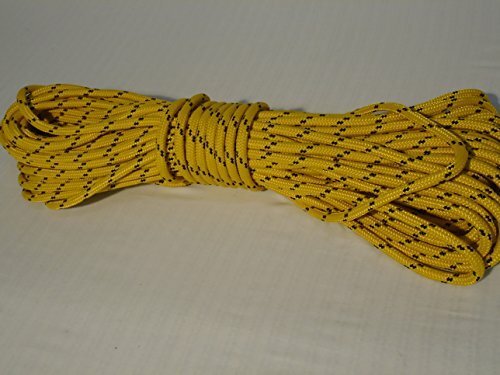 This is one brand new, never used 5/16" by 100 feet double braided polyester rope. Gold with black tracers. This rope is tightly braided for abrasion resistance and is not for splicing. Uses: control lines, sheet lines, halyards and rigging lines. About 2,600 pounds tensile strength. Made in the USA.